Decadent Rome in the Dark Ages is mired in crumbling grandeur. Into the Eternal City comes Regeane,a beautiful young woman distantly related,through her dead mother,to Charlemagne. Regeane's regal blood renders her an unwilling pawn in the struggle for political power. But unknown to those plotting her destiny,the blood she has inherited from her murdered father makes her much more than a child of royalty. Possessed of preternatural agility and strength,primal memories extending back thousands of years,and senses so keen they can pierce the veil of death itself,Regeane is a shapeshifter:woman and wolf,hunter and hunted. Betrothed by Charlemagne's command to a barbarian lord she has neverseen,Regeane is surrounded by enemies.The most notorious,her depraved uncle and guardian,will not scruple to betray her to the Church unless she aids him in his sinister schemes. And if the Church discovers her secret,Regeane will burn at the stake. Yet regeane finds allies as well:Lucilla,rumored to be the courtesan of Pope Hadrian himself;Antonius,a wise and gentle soul trapped within a body grotesquely disfigured by disease;and the little Saxon girl Elfgifa,brave beyond her years,with a tongue as sharp as a blade. 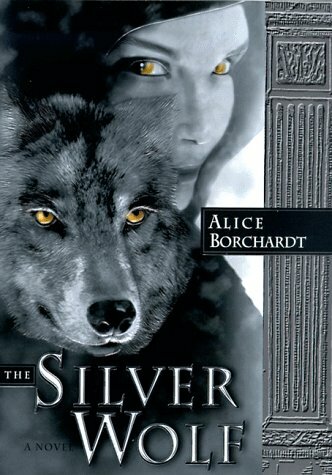 Lyrical,fast-paced,sensual,and rich with historical detail and deep insights into the heart,The Silver Wolf catapults Alice Borchardt squarely into the front rank of contemporary women writers. Her intriate plot and hypnotic voice will cast a spell that few will be able to resist.